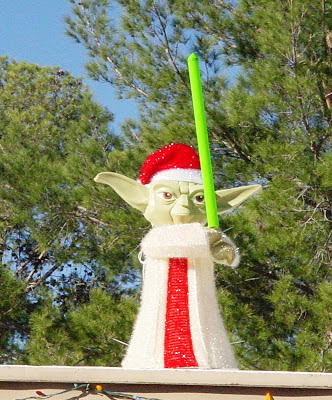 When you see Yoda dressed up in a Santa hat, it's enough to get your attention! May the holiday force be with you as you shop, wrap, and bake! This is a fantastic find!! I can just hear him say "buy or buy not; there is NO lay-a-way!!" May the force be with you, also, as you scour the neighborhoods for our TDPs! this really IS great. I know some folks who'd love to see it.